I’m excited for the Seattle Seahawks with new coach Pete Carroll taking over the helm. Carroll is a dynamic figure who seems to bring an elevated energy level and passion to the field. Pete Carroll is a rare breed in the NFL, getting his 3rd shot as a head coach after short stints with the New York Jets and New England Patriots a decade ago. Most coaches don’t get a second chance, let alone a third. The interaction of these charts is the most interesting. 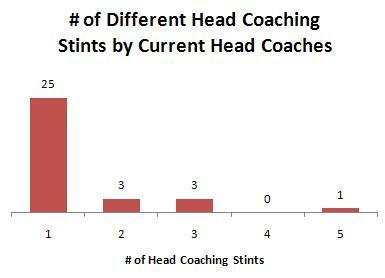 Of the 7 coaches that have had multiple stints at the helm, 5 have coached over 10 years. Meaning, if you don’t make it to 10 years, you’re not likely to ever head coach again. If you don’t find success in the first few years at your first head coaching job, like the Jim Zorns of the world, you will likely never be head coach again (not that anyone is clamoring for Zorn). However, there are paths to success, like Mike Sherman, who is head coaching in college after his decent run with the Packers. 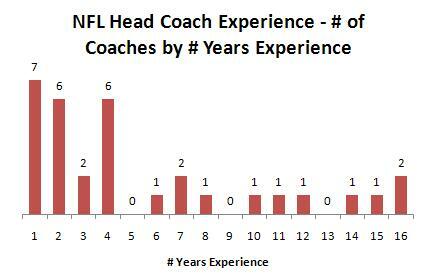 These stats confirm that coaches like Pete Carroll are rare. 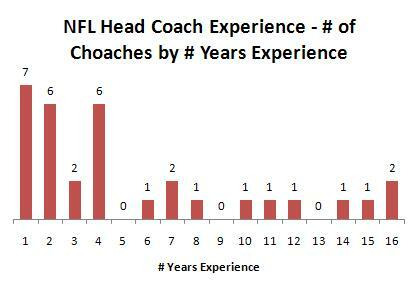 2nd chances (for head coaches at least) just don’t come around very often. It’s also interesting that the previous Seahawks coach, Jim Mora, was also coached multiple teams for a total of 4 years. Mora will likely never head coach again in the pros. No trains in our neighborhood! College Football Playoff rankings have been released; should you be worried?